We’re learning all about animals this term, starting off with a minibeast hunt using our new bug collectors. We made detailed drawings of the creatures in our art books and will use these as inspiration for future art pieces- watch this space! This entry was posted in Year 5 and tagged Science on June 11, 2018 by Sandford Hill. That sounds like a lot of fun. 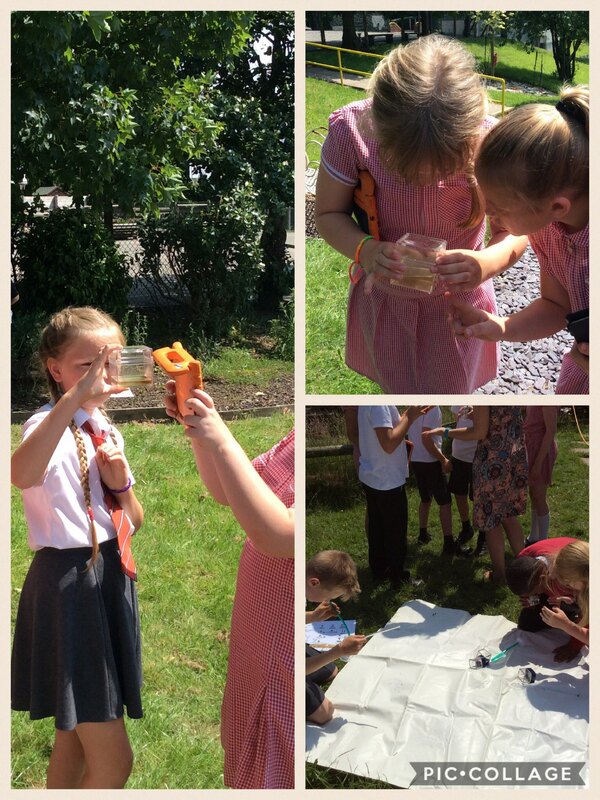 there’s so many mini beasts all around us…..some which we only see when the sun comes out!